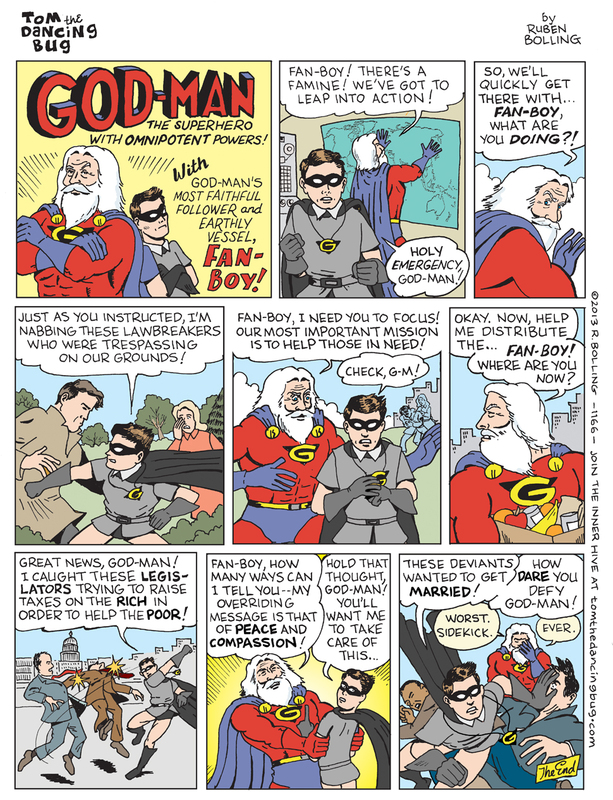 TOM THE DANCING BUG: God-Man and His Faithful Sidekick, Fan-Boy! Tom the Dancing Bug, IN WHICH God-Man embarks on an urgent mission with his faithful sidekick Fan-Boy. BE THE FIRST ON YOUR BLOCK to see Tom the Dancing Bug, by @RubenBolling, every week! Members of the elite and prestigious INNER HIVE get the comic emailed to their inboxes at least a day before publication -- and much, much MORE!